Balancing the approach to residential pest control includes recognizing our customers’ threshold, understanding the construction of the home, and familiarity of the pest pressure in Scottsdale, Fountain Hills, Phoenix, Mesa, Rio Verde, Carefree and Cave Creek. These dynamics make each home unique, resulting in methods that address each individual. 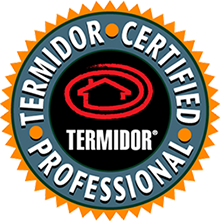 Our technicians are trained in house and certified by the state. Each submits to a third party background check and finger printing. We understand how important it is to know that the people we send to your home are people becoming of the integrity and ethic of the company. We take pride in our work and our positions as professionals. Should you have pest pressure that persists beyond standard maintenance, we have several alternative measures designed to provide safe, fast, and effective results.